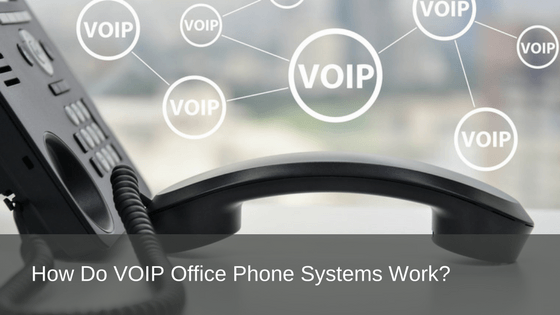 Prosum - How Do VOIP Office Phone Systems Work? How Do VOIP Office Phone Systems Work? Now that high-speed internet has penetrated a vast majority of workplaces around the country, we are seeing an increasing number of business owners jumping on board the endless benefits of the high-speed technology. As well as seamless access to streaming services like Netflix and Spotify, the advantages of this technology also bring about benefits for office phone systems via on-premises and cloud-based VoIP systems. Yes, we know this is yet another technological advantage that you’re no doubt going to have to keep up with at some point. But if you don’t leave it too long to get your teeth into this little beauty, you may soon come to notice the differences in conveniences, and in your monthly phone costs, that VoIP office phone systems can produce for your business. To get a good handle on how a VoIP office phone system works, we have detailed below some points to help you work out how a VoIP business phone system could benefit you. VoIP stands for Voice over Internet Protocol. For phone systems, VoIP sends your telephone calls over the internet instead of via traditional phone networks. Because this phone arrangement avoids carrier networks, often VoIP service providers can offer your call costs at very competitive rates. 2. How does VoIP work? Basically, for every phone call you make, the VoIP system converts your voice into a data stream which transports your voice via high-speed internet. The data packet created through this process is provided with the destination details of the person whom you are calling. It transitions through the internet just like pages for websites and file downloads are transported. Once it reaches the receiver destination, the data packets are then transfigured into sound waves. Back and forth between the two users, this is what makes your VoIP call successful. If the receiver of your phone call is also using a VoIP system, your conversation remains on the internet for the call duration. In comparison, if the person that you are calling is using a traditional phone set up, then your call will be transported as far as it can over the internet before being allocated to the phone network concerned. With a VoIP service, you are usually provided with a landline telephone number so that people can phone you via the traditional method as well. When this is the case, the call made to you is simply routed to the handover point closest to you, which will then send the call over the internet for you to receive on your VoIP phone or computer. 3. What set up is required for a VoIP telephone system? If you are using an externally-hosted VoIP service, with phone systems that are plug and play arrangements, the VoIP set up is fairly straightforward and generally, no additional hardware is required other than the VoIP-compatible phones. In comparison, if you were looking to self-host your VoIP system (meaning that you would prefer to host your own equipment in-house rather than off-site with a host provider), then the set-up is a little more involved. You will require an IP-based private branch exchange with software to route all of your calls (this is the equivalent to the PBX phone systems which a lot of businesses have). You will also require a PSTN (Public Switched Telephone Network) gateway, which converts calls for the process to be successful. 4. What do you need to run a VoIP business phone system? If you are considering making use of a VoIP telephone system, it’s imperative that you have high-speed internet in first place. Remember, the more people using your VoIP system, the more bandwidth you will also require. Other factors like messaging platforms, chatbots, and live music streaming, can also interfere with your bandwidth usage. You need be certain that your internal network and routers can also keep up with VoIP technology. You could consider employing a router with configurable quality of service settings so that you can assign any VoIP traffic as high-priority for optimal quality. You will also require VoIP-friendly telephone hardware, like a SIP-enabled phone. VoIP initially came to fruition in the 1970’s as a computer novelty and took almost 20 years to launch into a featured telephone service. VoIP telephone systems are now enjoyed by hundreds of thousands of people every day. If you want to be one of the businesses and people who have dived in and taken advantage of VoIP telephone systems and VoIP systems for business, then get in touch with our team online or give us a call on 1800 007 229 or visit www.prosum.com.au we’d love to hear from you. At Prosum, we provide communication and technology solutions to businesses of all sizes, across all industries, right around Australia. With 50 years of expertise, no one knows technology and communication like Prosum. From Hosted Telephony, On-Premise Telephony, and VoIP solutions to cloud-based phone systems, NEC Phone System Support and SIP Lines, we provide expert advice on the communication products and services that will suit your organisations’ needs.